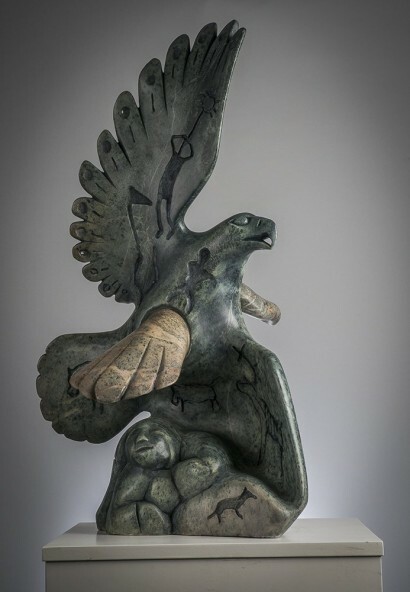 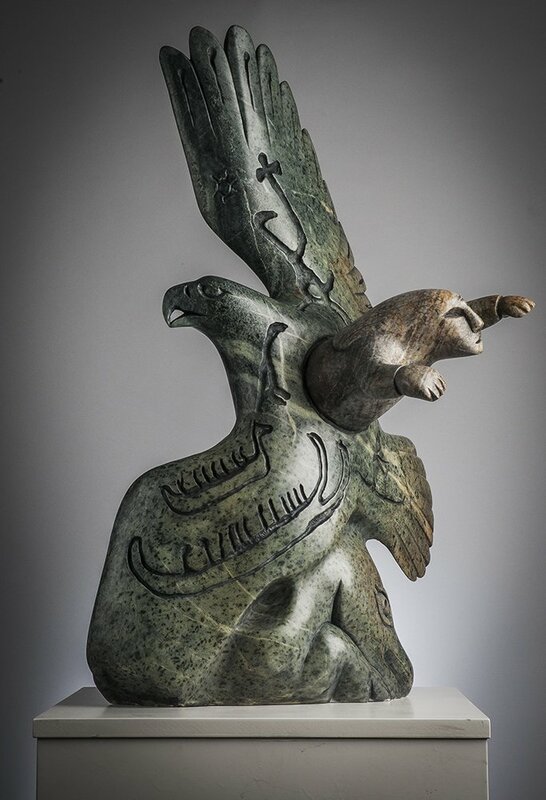 The inspiration for this piece is taken from a pictograph from Denmark, showing a shaman transforming into a hawk, which is taking flight. 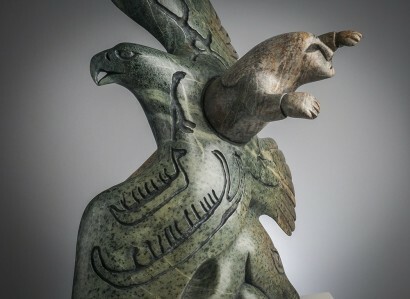 I have the image of the hawk, one wing raised, one wing lowered with the body covered in pictographic images, from Stone Age Scandinavia. 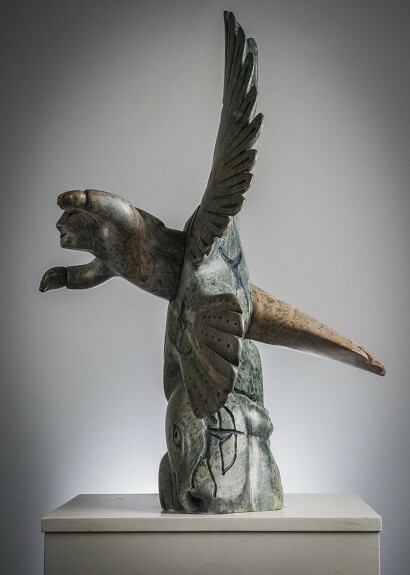 Flying through the hawk is a Stone Age shaman, shown in spirit flight.